A HOTEL in the popular tourist town of Pitlochry is to receive a £2 million makeover after being snapped up by an Irish hospitality group. Scotland’s Hotel & Leisure Club was sold by former owner Crerar Hotels as the company looks to “right size” its portfolio. The 72-bedroom hotel has been acquired in an off-market deal by Castle Collection from a guide price of £2.5m. The family-owned company will now extensively refurbish the hotel, which includes a lounge, restaurant and swimming pool and has planning consent for a further 24 bedrooms. Scotland’s Hotel is the Irish company’s seventh property. 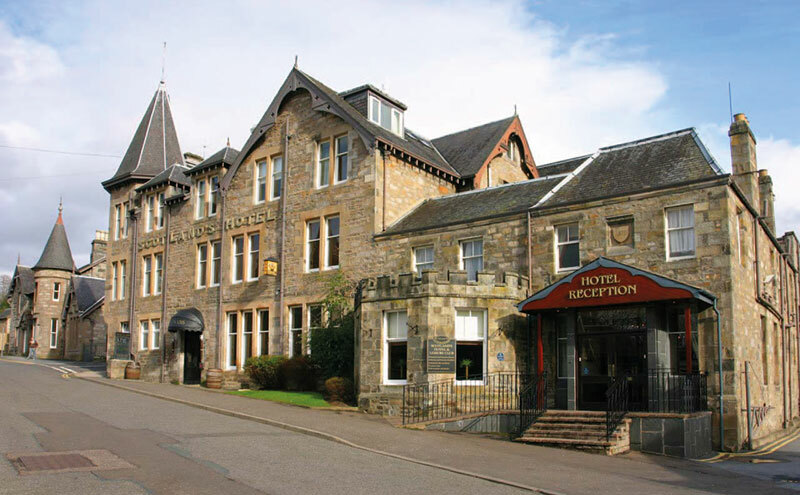 The growing portfolio also includes Pitlochry properties Fisher’s Hotel and Atholl Palace hotel. Pitlochry is a great choice for staycation tourism and we aim to create a modern metro boutique hotel. Julian Troup of Colliers UK, who negotiated the sale, said the Irish company’s acquisition of the property was “a further example of domestic and overseas buyers looking to secure a hotel in a prime Scottish location”. Fionn MacCumhaill, managing director of Castle Collection, said the acquisition “will strengthen the hotel base and tourist offering in what we believe is the heart of Scotland”. “Pitlochry is a great choice for staycation tourism and we aim to create a modern metro boutique hotel with spa to grow this segment of the market,” he said. Colliers is also seeking buyers for a further three of Crerar’s hotels. Paddy Crerar, chief executive of Crerar Hotels, said all three were “solid, highly profitable performers in great locations”.